Just saw this release on Facebook from Abu Nawas distribution. More exciting beer news for us in Iowa! Cheers! We are very excited to announce that we are going to be bringing the beers from theSixpoint Brewery to Iowa! (Elkader, Iowa) – August 11th, 2015 – Abu Nawas Beverage Company is proud to announce the addition of Six Point Brewery to their beer portfolio. Starting August 27th, 2015, Iowa will be treated to the respected craft and highly-rated beers of Sixpoint Brewery from Brooklyn, New York. The Brewery began operations in the. Red Hook neighborhood of Brooklyn in 2004, when co-founder Shane Welch decided to open up his own brewery after relocating from his home state of Wisconsin. Shane got his start in home brewing while still a student at the University of Wisconsin. 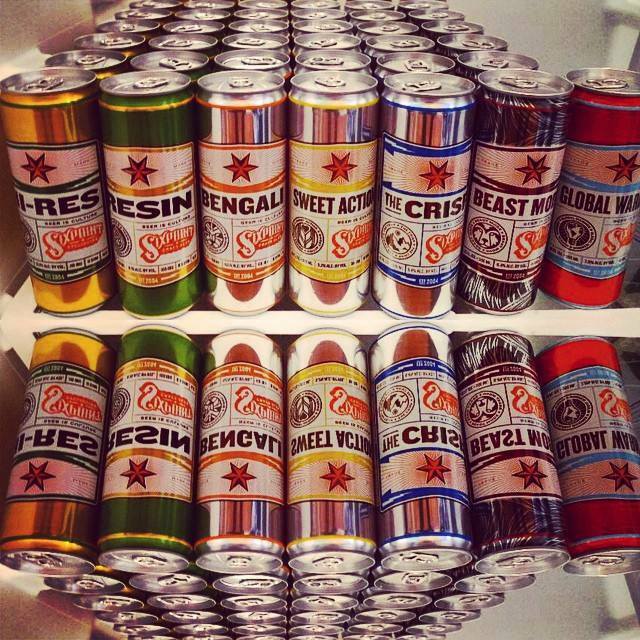 Since their inception, Sixpoint has garnered some major street cred in the craft beer industry as a leader in expertly crafted beers, excellent customer service, and innovative packaging design. Abu Nawas Beverage Company is humbled, thankful and extremely excited to bring the outstanding beers of Six Point Brewery to the great State of Iowa. Abu Nawas will be carrying both cans and kegs for customers. Retailers interested in carrying Six Point products should contact Abu Nawas through their websitewww.abunawasbeverage.com.